HOW TO FAIL, the moving memoir by Elizabeth Day, enters the Sunday Times Bestseller list this weekend at No. 5 after being on sale for only 3x days!! 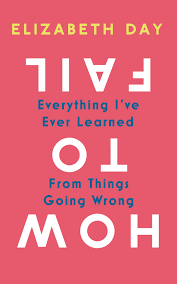 HOW TO FAIL is based on Elizabeth’s hit podcast HOW TO FAIL WITH ELIZABETH DAY which is currently on its 4th season and nominated for two British Podcast Awards.